So here’s my opening salvo, a post by someone on tumblr. See, I love checking the profile of whoever takes my interest because it can tell you the POV the person is coming from. Yes I do fan profiling, it’s fun, interesting and revealing. 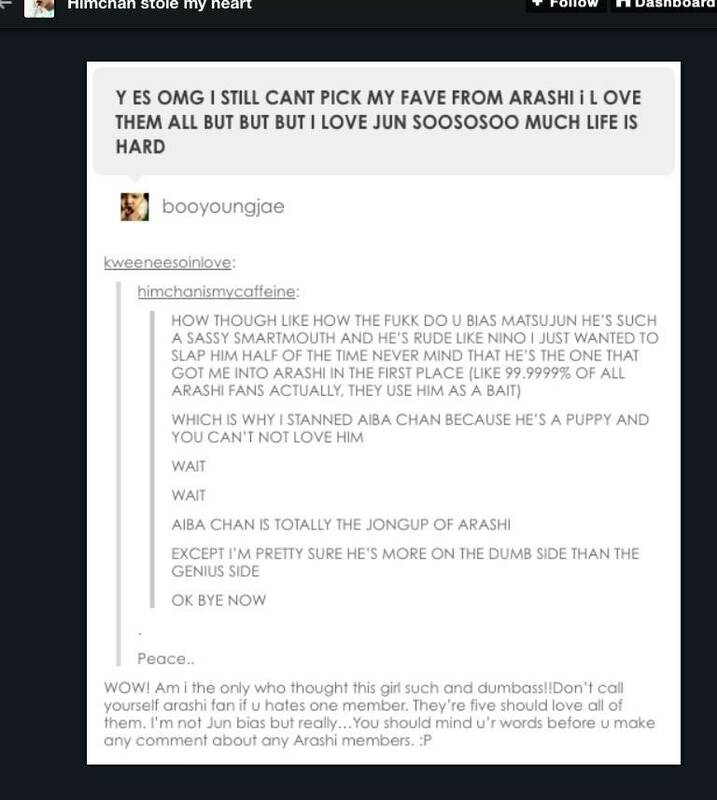 This post has taken quite a fair share of attention among Arashi fans because of the tone and language. Inevitably, there was some reaction. And then the reaction from the fan in question (at the bottom of the photo). Before you “insult” certain artists, consider first that your “number one bias” probably do a lot of business (i.e. earn money, sell records, do concerts) in the country of the artists you are bashing. 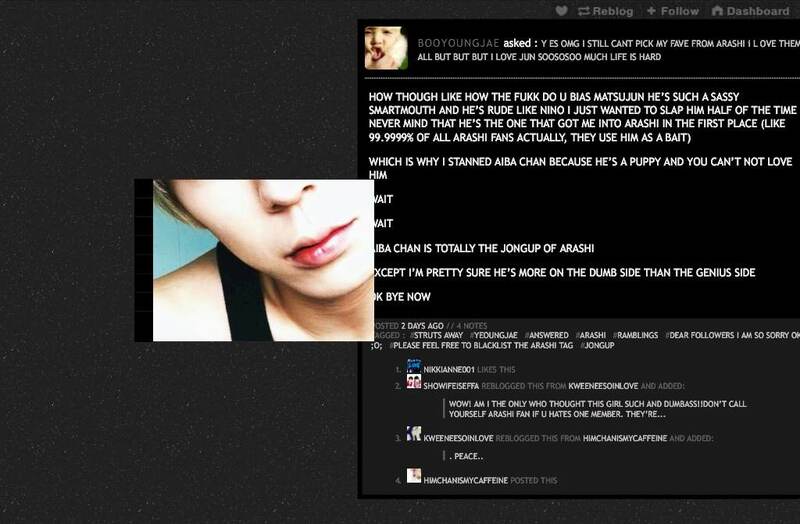 And since when did fandom become all about insults? Just sayin’.